I recently had to convert a project from Objective-C (which I do not know) to Swift and found Swiftify to be an excellent way to start that process. In addition to a time-saver, over the course of using Swiftify for a few weeks I've learned quite a bit about Objective-C. 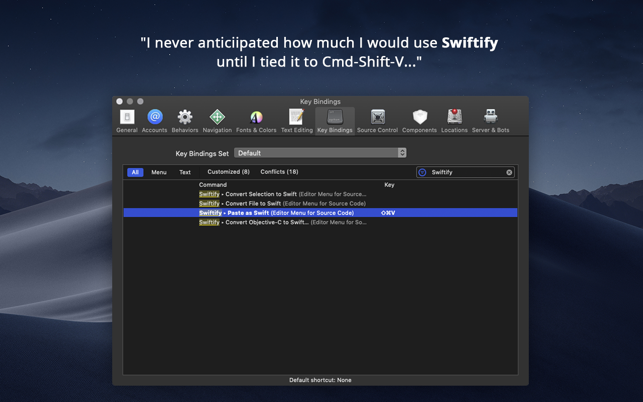 I now feel much more comfortable taking the starting point in the conversion process that Swiftify provides and doing the last bit of conversion to Swift myself faster & more accurately. Highly recommended! Thanks for sharing a really interesting user story! 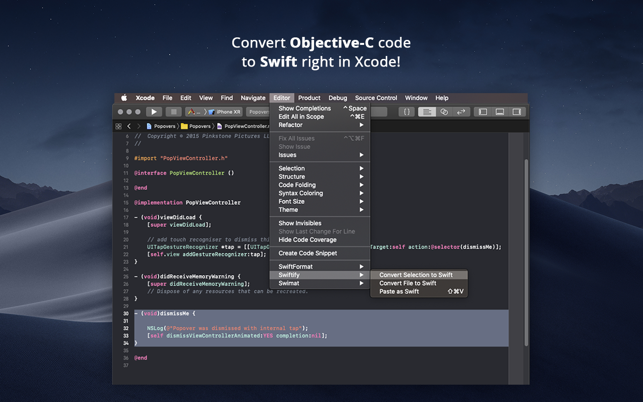 Sounds amazing that Swiftify even helped you to learn Objective-C. 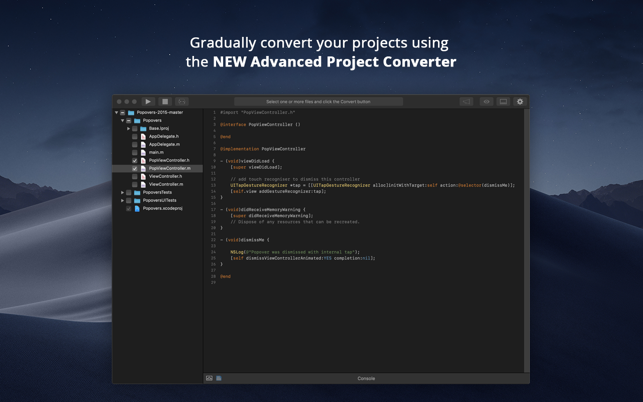 It's also great to hear that you have successfully used the converter even without prior knowledge of Objective-C! I have to echo the other feedback here. 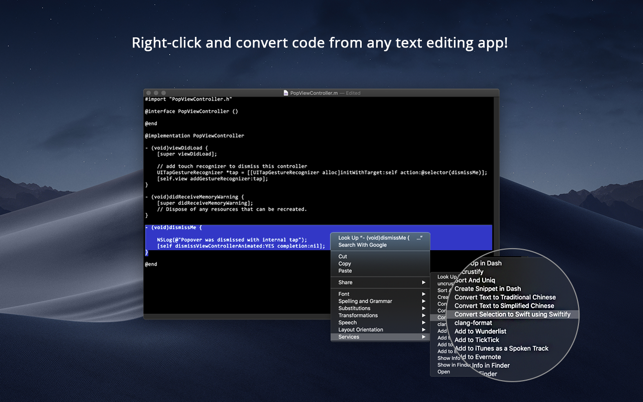 This tool does exactly what it says: converts Obj-C to Swift. For me, it took a medium-sized project I was considering keeping in Obj-C for timing reasons and made porting it to Swift realistic. It might not match your exact naming style on an "if let" or other preferences you might have, but it gets the bulk of everything correct — especially functionally — and saves a *ton* of time. And honestly, once you know that you've saved so much time, the clean up is kind of fun. We have just completely refined naming of conditional unwrapping (`if let`) variables, to use shadow variables as suggested by Ray Wenderlich style guide. Gets you about 90% there. This tool is a godsend. Apple should buy it and roll it into Xcode. It doesn’t get everything right, but it’ll still save you hours or days. A small app can be converted to Swift in a day or two. A medium-sized app in less than a week. 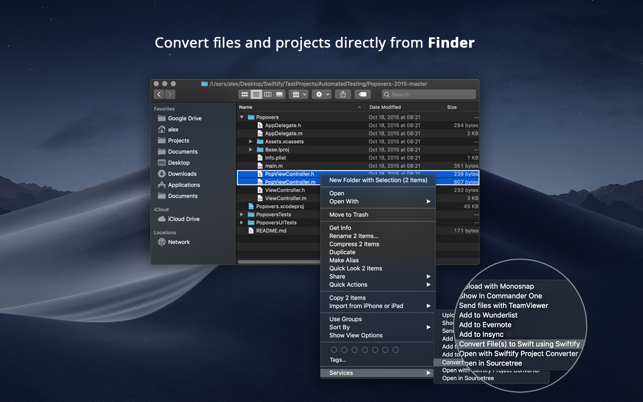 Much better than starting from scratch because you can compare your files side-by-side after converting your project with the subscription-level purchase. Many thanks to Alex for providing this!